It was certainly disappointing that the Archbold boys basketball team had its hopes for a state championship derailed in the district semifinals, Thursday, March 7. Everyone likes to win. In winning,… Sorry! This content is only available to paid subscribers at this time. Please login below, or consider purchasing a subscription today! Has he lost his mind? If so, the publisher of an Alabama newspaper who has called for lynching some federal legislators should check himself into a psychiatric hospital. If he hasn’t, then he s… Sorry! This content is only available to paid subscribers at this time. Please login below, or consider purchasing a subscription today! Ten Years Ago Wednesday, Mar. 25, 2009 Some citizens question why the Archbold Fire Department has a rescue boat, when there isn’t a major lake or river within an hour’s drive. However, … Sorry! This content is only available to paid subscribers at this time. Please login below, or consider purchasing a subscription today! 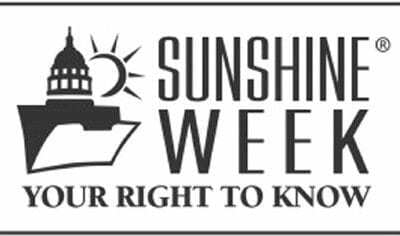 March 10-16 is Sunshine Week, the one week each year newspapers across the United States celebrate your right to know what’s going on with government. You elect representatives to conduct… Sorry! This content is only available to paid subscribers at this time. Please login below, or consider purchasing a subscription today! Ten Years Ago Wednesday, Mar. 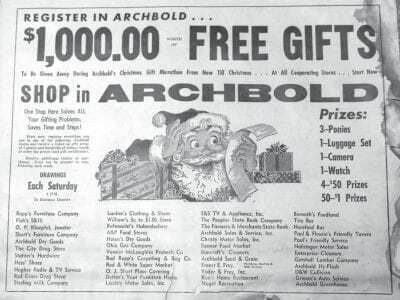 18, 2009 By a 4-1 split vote, the Archbold Area School Board voted not to make boys soccer a varsity sport. Roel Galvan was the only board member to vote for soccer at … Sorry! This content is only available to paid subscribers at this time. Please login below, or consider purchasing a subscription today! Hilde Lysiak, an enterprising 12-year-old journalist from the central Pennsylvania town of Selinsgrove, has broken numerous stories in her hometown. Through her self-run publication Orange Street New… Sorry! This content is only available to paid subscribers at this time. Please login below, or consider purchasing a subscription today! Ten Years Ago Wednesday, Mar. 11, 2009 Unemployment during January was 15.3% in Fulton County, nearly five points higher than in December. “I was a little surprised when I saw the number. I th… Sorry! This content is only available to paid subscribers at this time. Please login below, or consider purchasing a subscription today! 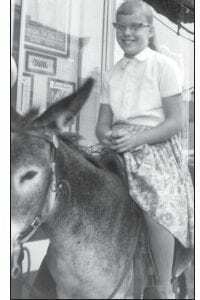 The “Old Photo Corner” in the Feb. 27 edition of this newspaper was of a girl sitting on Mahlon Miller’s donkey in front of the Scott Theater in 1958. Reid Short, the owner of… Sorry! This content is only available to paid subscribers at this time. Please login below, or consider purchasing a subscription today! The Archbold police and fire departments provide quality, professional service to anyone, at any time, and they’ve been doing it for years. It was great to see both departments receive some rec… Sorry! This content is only available to paid subscribers at this time. Please login below, or consider purchasing a subscription today!